First time user, Register Here. In an increasingly connected world, consumers aspire for smart and intelligent products that define their kitchen space. How can V-Guard delight its consumers with thoughtful appliances that enable cooking to become an enjoyable chore, bringing home a better tomorrow. Register Now!! Last date for registration is 2nd May 2019. V-Guard is just coming off a massive brand transformation exercise. The new philosophy embraced by the brand envisages a culture that draws on over 40 years of experience to insightfully ideate and evolve a new generation of products that re-sets benchmarks in the category. V-Guard has expanded its product portfolio with an increasing focus on consumer facing categories. Kitchen appliances being one of the thrust categories going into the future. In an increasingly connected world consumers aspire for smart and intelligent products that define their kitchen space. How can V-Guard delight its consumers with thoughtful appliances that enable cooking to become an enjoyable chore, bringing home a better tomorrow. The proposed recommendations should ideally be in line with our product mix. Students pursuing degree in B.Tech/ BE/ B.Des from any authorized Private/Govt./ Deemed University/Institute situated in India. No restriction in terms of specialization/ academic year. Knowledge of Basic Electronics/ Design principles/ Programming is a prerequisite for participating in the event. A single team will comprise of not more than three students from the same institute i.e. number of members in a team should not exceed 3. All team members have to be from the same college. The participants must produce ID cards on request. Registration Fees: Rs 500/- per team. Participation will be confirmed subject to receipt of participation fee. The fee paid is non-refundable. The decisions of the judges will be final and binding on the participating teams. Participating teams are requested to visit the website (www.vguard.in/contest) for any updates about the competition. Registration in the prescribed site. Teams at this stage must refer to the judging criteria and explain concisely the relevance, impact and action plan of the proposed idea in a word document not exceeding 2 pages. (1000 words). 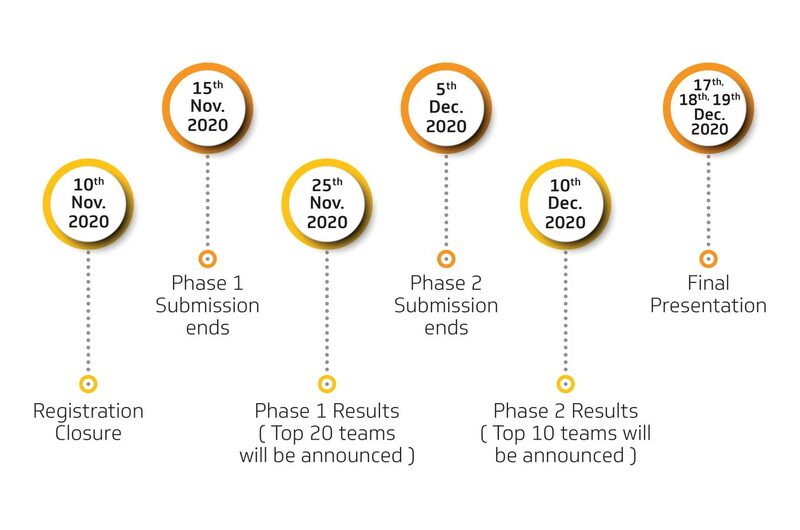 The shortlisted top 20 teams will be required to research further on the idea. They may choose to build a prototype or a model that represents the idea. Students can make early stage models (although not mandatory)– not to test strength, flow or durability characteristics but, at this stage, simply to verify how the product will look and feel,– occasionally – behave like the finished product. Technologies like CAD, 3-D printing etc. may be used. Students must submit their elaborate reports (Not exceeding 5000 words) including the schematic/flow diagrams and keeping in mind the other criteria of evaluation along with proofs of models/prototypes (in the form of images or videos of the prototype or in any other preferred format) if any to the designated contact ID (will be communicated to the shortlisted candidates later). Shortlisted top 10 teams will be invited to the final presentation and model demonstration round at V-Guard Corporate Office. Top 3 teams will be announced and adjudged winners. Registration Fee: Rs 500/- per team. Last date for the registration is 2nd May 2019. Does/Can the design achieve the form, function and capability/performance claimed? Whether the proposed solution explores the various existing and developing technologies and is an appropriate solution for the problem? Can the Design be brought to market with knowledge and techniques present today? Does it solve an existing or future problem or need in the market? In what way does it do better than other known solutions? How would V-Guard generate business from the solution? Can it open up new segments or categories? Can business be generated from other novel aspects? How will your solution increase the value and experience for the end user? Is it sustainable for future use?